Genetically-modified (GM) herbicide resistant crops have been grown commercially since 1995, mostly in North and South America. Cultivating herbicide resistant crops promotes, and significantly increases, herbicide use, forcing farmers onto a chemical treadmill – with ever increasing quantities of herbicides necessary to maintain their crops. Continue reading >> "Briefing: Herbicide resistant GM-crops"
Michael Hart, a conventional livestock family farmer, investigates the reality of farming genetically modified crops in the USA ten years after their introduction. He travels across the US, interviewing farmers and other specialists about their experiences of growing GM-crops. During the making of the film he heard problems of the ever increasing costs of seeds and chemicals to weeds becoming resistant to herbicides. 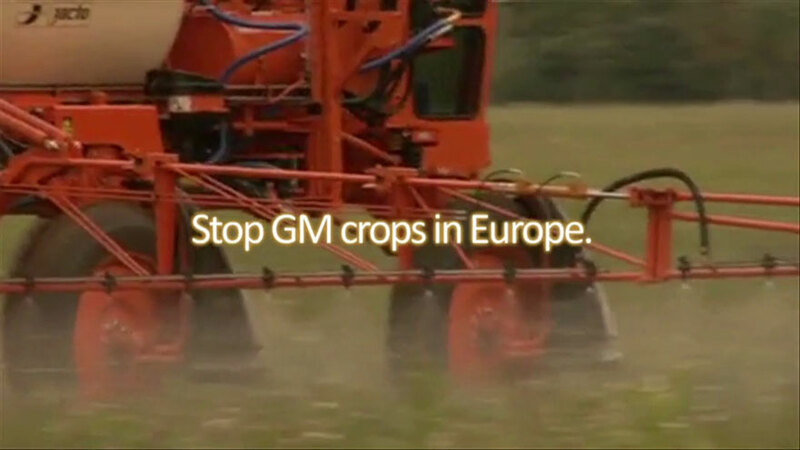 Continue reading >> "Film: Farmer to farmer: the truth about GM crops"